"The discussion over launching the nuclear power plant has accelerated. It is mostly about the international partnership. We are able to finance the construction on our own, but we have to draw the technology from somewhere," Kurtyka told Reuters. "The energy minister is also in such talks with the U.S. side. 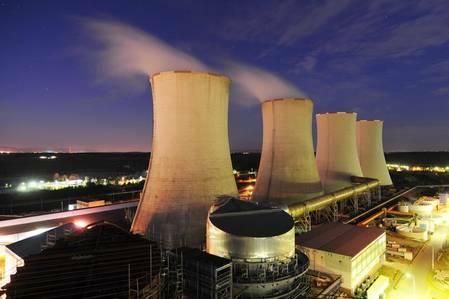 The recent signals show that they are very advanced (...) I assume that (the) nuclear power station will start generating power after 2030," said Kurtyka, also a former deputy energy minister. The Energy Ministry is expected to publish Poland's long-term energy policy by the end of the year, likely at the U.N. climate conference in Katowice, the heart of the coal industry in the south of the country. "In future the significance of coal in Poland's energy supplies will be diminishing. We assume that in 2030 the share of coal in Poland's energy mix will be 60 percent," said Kurtyka. He added that 25 gigawatts or 44 percent of Poland's installed power capacity in 2030 will be based on coal while the remaining energy sources will be wind, some photovoltaic and gas.